Leading Wholesale Trader of bosch gsc 160 professional shears and bosch gsc 2.8 professional shears from Navi Mumbai. Leveraging by the industrial knowledge of this domain, we are engaged in supplying the supreme quality of Bosch GSC 160 Professional Shears. Ideal for shearing of different materials, the offered shear tools are easy to operate. 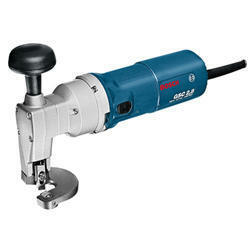 In addition to this, the offered shear tools are known for their hassle-free performance. Determined to attain maximum customer approval, the offered shear tools are rendered to our valuable clients in various specifications. 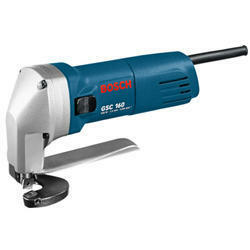 Since the inception of our company, we offer optimum quality Bosch GSC 2.8 Professional Shears. It is due to its rich attributes such as easy operation, high performance and energy efficient design that the offered shear tool is highly demanded for shearing of different objects. Quality of the offered shear tool is maintained in accordance to the industry laid norms, by using various quality assurance procedures.